Lot Detail - 1865 Lincoln Mourning Poem: A Nation Horrified At Lincoln's Death Allows He and Willie To Lie Quietly Together In Death. 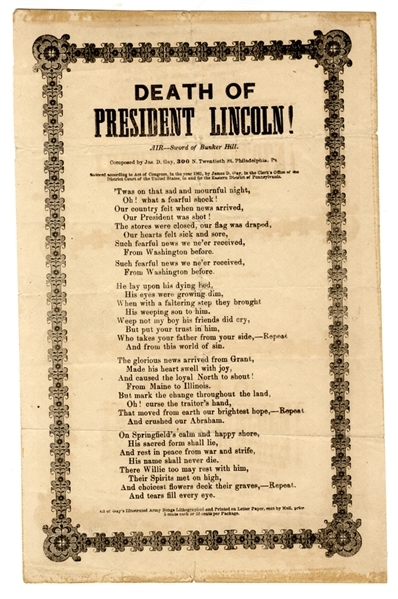 1865 Lincoln Mourning Poem: A Nation Horrified At Lincoln's Death Allows He and Willie To Lie Quietly Together In Death. Auction closed on Thursday, June 1, 2017.